A big yellow lab named Jack laid down on the couch while his black litter-mate, Sophie, slept stretched out on the floor. 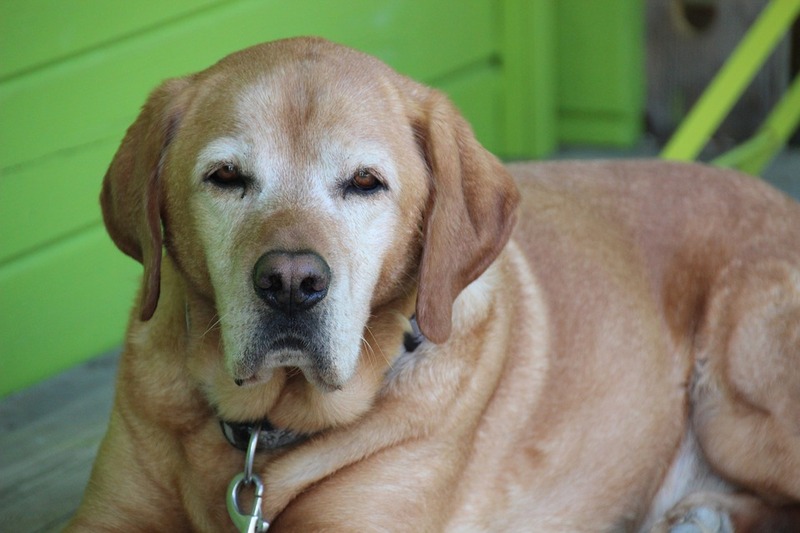 At 11 years old, both dogs are old for their breed but aside for some arthritis in Jack’s hips and a diagnosis of Lyme disease for Sophie, they are in remarkably good health. Their owner, Amy Ingalls, 45, of Ware, attributes this to their diet, a homemade mixture of pig and cow hearts and livers from the butcher, chicken, greens, brown rice or pumpkin, baked eggshells, and whatever other vegetables she has on hand. “I add turmeric because it’s an anti-inflammatory,” for Jack’s hips, she said, and “sardines or fish oil for essential fatty acids.” She throws in parsley for their breath but said that they generally only have “dog breath” when she supplements her homemade recipe with store-bought dog food. She gives them chicken feet as a treat. “There’s nothing creepier than a dog coming towards you with toenails sticking out of their mouth,” she said, laughing. DIY dog food is on the rise among pet owners for different reasons. Some people are concerned with fillers in their dog’s food that add calories without any nutritional value, largely spurred on by the “grain-free” labels that appear on certain dry foods. Others feel dog food costs are too expensive and find homemade food to be more economical. For those whose dog has an allergy, it can be easier to design a diet specifically for their needs rather than hunt for a hypoallergenic commercial brand. Ingalls decided to make her own food when the dogs were puppies because she had heard about dogs dying from food made in China. A massive recall of cat and dog food began in 2007 after nearly 500 reports of kidney problems and 104 deaths from renal failure were traced back to tainted wheat gluten used by a Chinese pet food manufacturer. There have been several other recalls in the years since, yet another factor driving the homemade dog food trend. Stuart Shulman, of Amherst, chose to make his own dog food for other reasons. When the 61-year-old software engineer’s aging dog began having arthritis and joint problems, Shulman decided to make him a concoction of brewer’s yeast, eggs, canola oil, and chopped up beans and carrots. He claims it was “a superfood for ailing joints” for his four-legged friend, who has since passed on. Now he feeds Aunt Jeni’s Home Made brand dog food to Colbert, his 8-year-old shepherd/Bernese mountain dog mix. It’s expensive, Shulman says, but it’s more convenient. Ingalls conceded that making food for the dogs is a commitment but she said, “if it’s a priority, you make time.” She said, “I make it in batches, so it’s only labor intensive one day.” Ingalls makes five gallons of the food at a time for a three week supply and freezes it. Dr. James Hayden at the Easthampton Animal Hospital said that if you’re going to make your own food, “don’t just get a recipe online.” The major quality brands will have guidelines on their websites, he said. “It’s best to buy commercial food. Stay away from store brands,” he said. “Name brands will have a veterinary nutritionist on staff,” to help ensure the nutritional value of the food. “Some generic foods, when they have a problem it can be difficult to trace it back,” to the source of the ingredient, Shelburne said. This is because some companies make big batches of pet food to be marketed under many different brands. “I never recommend a homemade diet for cats,” Shelburne cautioned. “Cats have very specific nutritional needs that are difficult to get right on your own,” said Shelburne. She said if their dietary balance is off it can quickly lead to serious health problems, including heart disease. Dogs are a little easier to get the right portion of their nutritional needs. Shelburne recommends the website http://www.balanceit.com to help dog owners get the right ratio of phosphorus and calcium, among other needs, for a healthy dog.